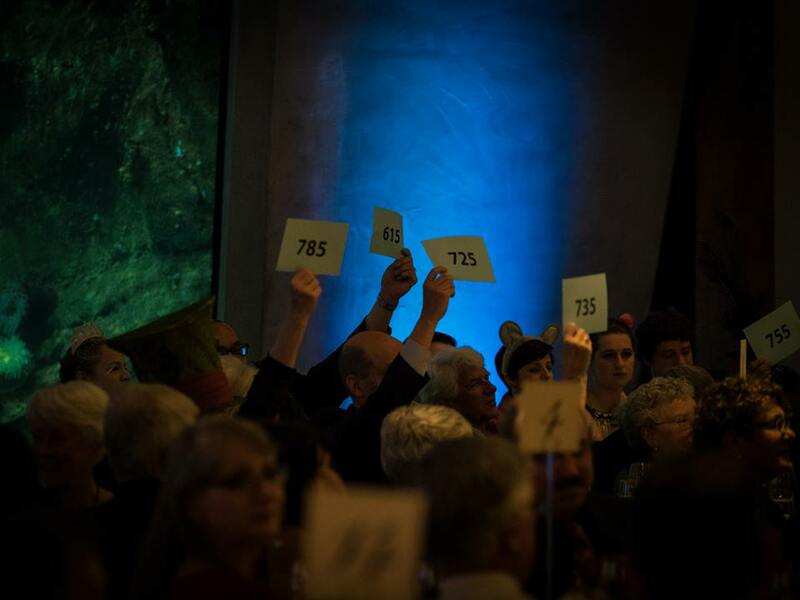 Ice + Fire, our 25th Annual Auction, was held on April 13, 2019, at Seattle Aquarium. 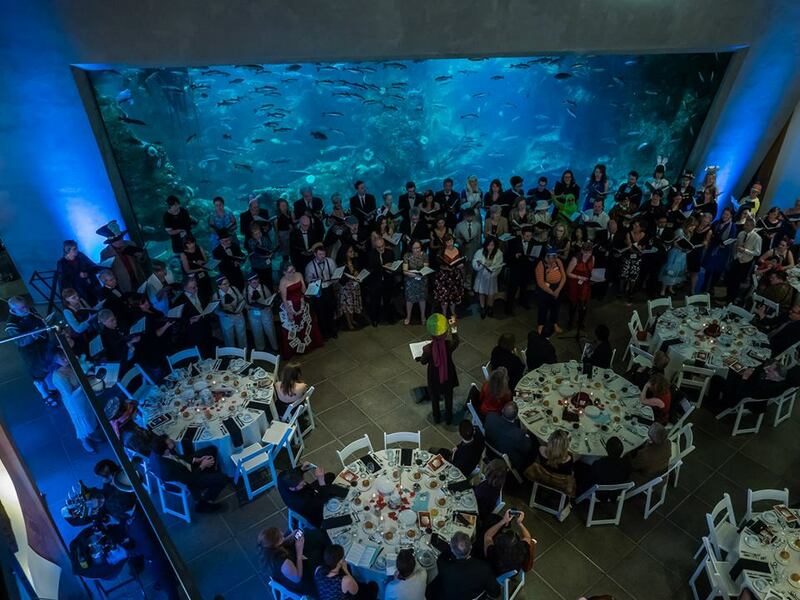 Join us for a stunning gala! On that day, we raised over $140,000 in support of our programs and initiatives. 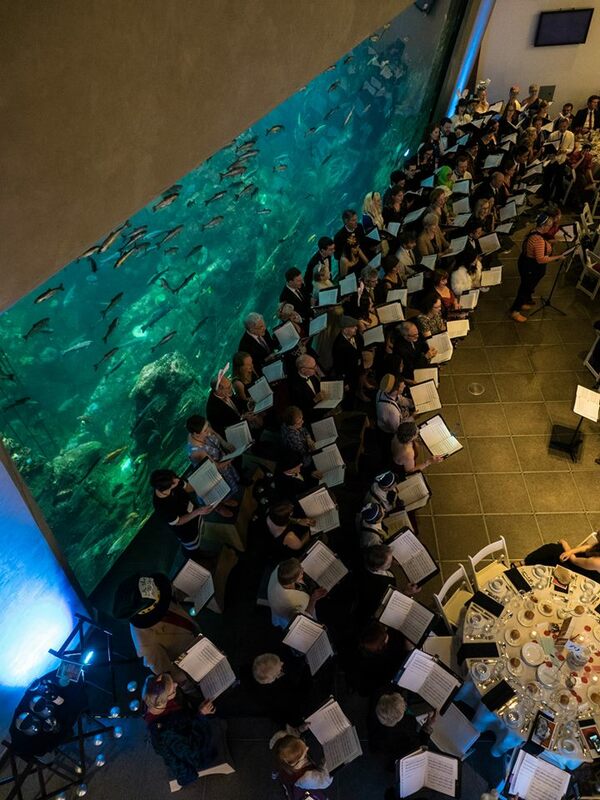 Thank you for donating goods and services, for buying tickets, and for bidding high to ensure that we are able to fulfill our mission - to enrich and inspire our audiences, singers, and community through the experience of choral artistry, and to increase access to and appreciation of choral music. I’ve already bought my ticket! 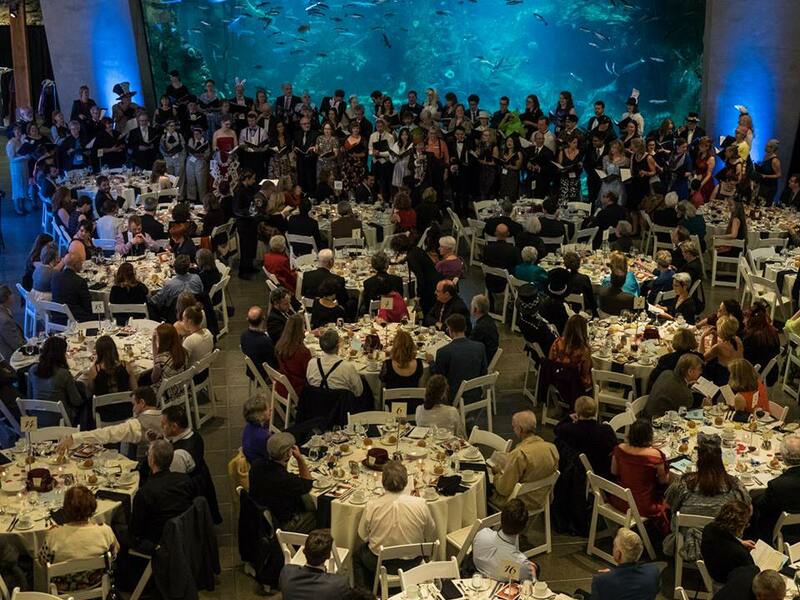 Since our first auction fundraiser in 1995, Seattle Pro Musica's annual event has become one of the city's most entertaining nights out – it's a concert, it's a party, it's a hoot! 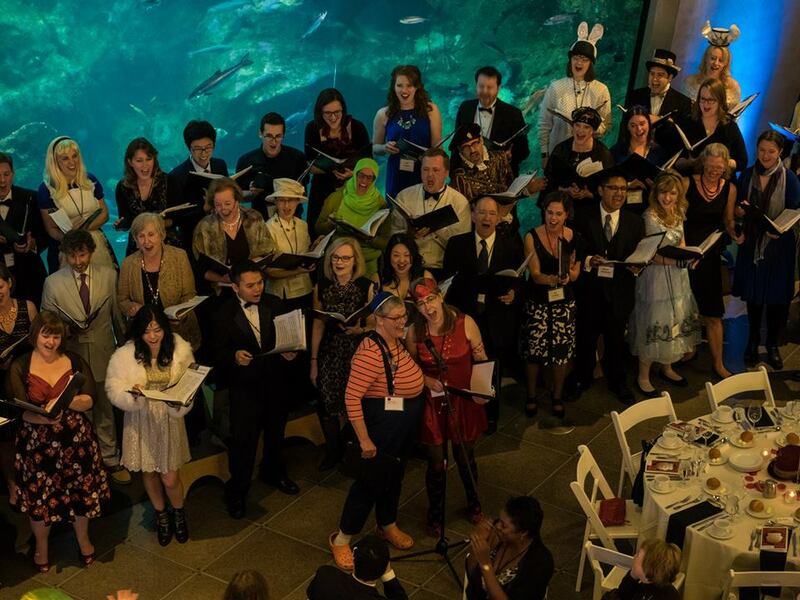 It's a chance to dress up and mingle with Seattle Pro Musica and friends while bidding on fabulous items including trips, experiences, fine wine, meals, art, jewelry, and other adventures. 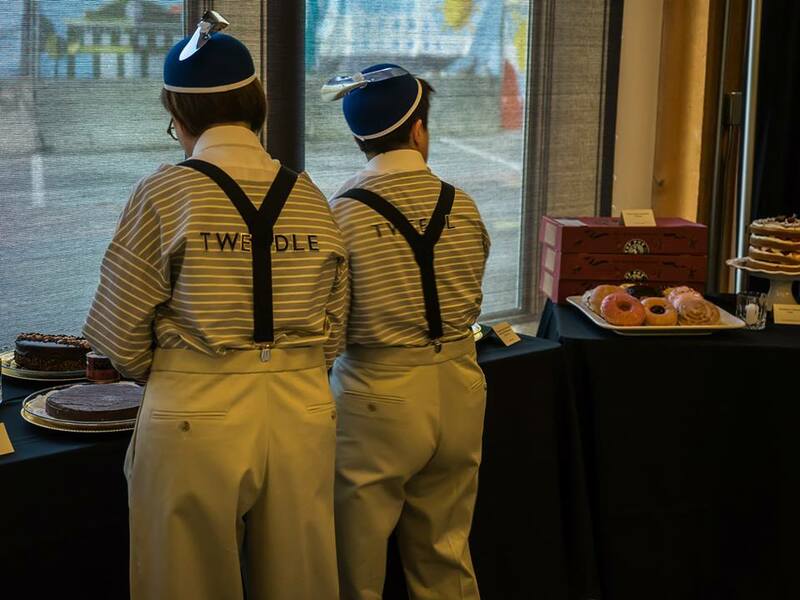 Our rollicking Through the Looking Glass auction at Seattle Aquarium featured a whimsical cast of characters including auction hosts John Curley and The White Rabbit, and a thrilling performance with a dramatic aquatic backdrop. Unable to join the party this year? Donations of goods and services: Receive acknowledgement in auction materials and concert programs, and gain new customers! Our online procurement form is now closed. Thank you for your support! Corporate sponsorship: Offer corporate sponsorship, and receive acknowledgement in auction materials and concert programs. Email us for details. Advertising: Purchase an ad in our auction catalog and/or our concert programs. Ad rates/sizes and audience demographics are available, contact Executive Director Katie Skovholt for more information. 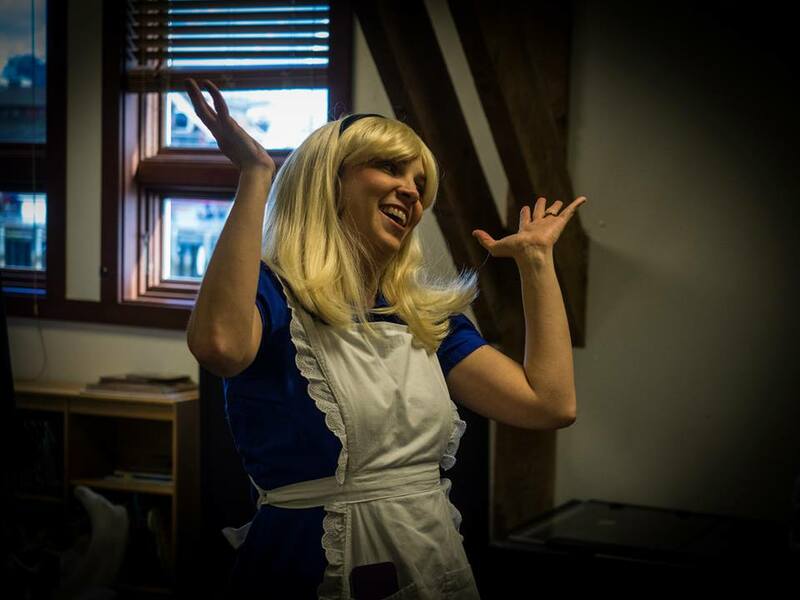 Individual donations: Donate any amount here and be acknowledged in our concert programs. Volunteering: Provide staffing support at the auction, concerts, or at our office, and enjoy the music that you helped bring to fruition! Interested? Contact Administrative Assistant Caroline Little for more information. 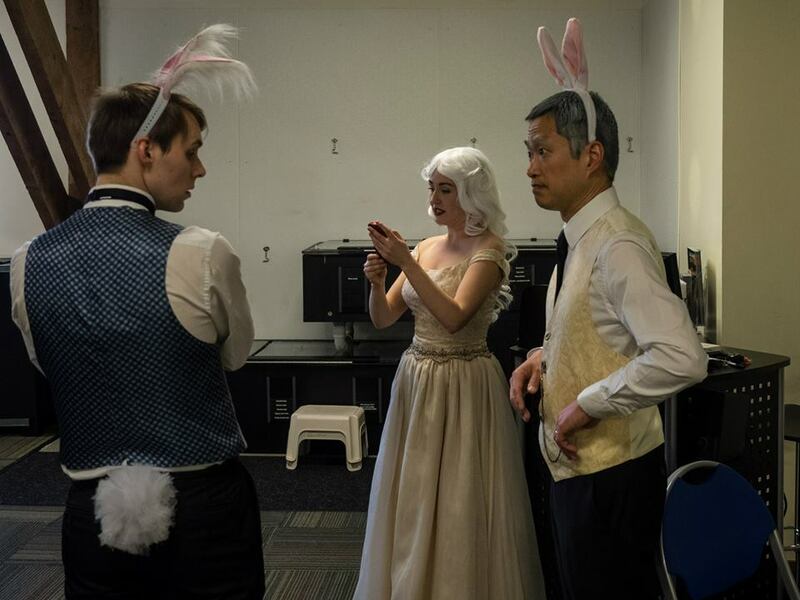 All auction proceeds benefit Seattle Pro Musica, a 501(c)3 organization (EIN #51-1075286). 2019 Auction Sponsors: Thank you! I've already bought my ticket!